Wat is dit voor site? Wij zoeken de goedkoopste boeken op internet. Havanese. 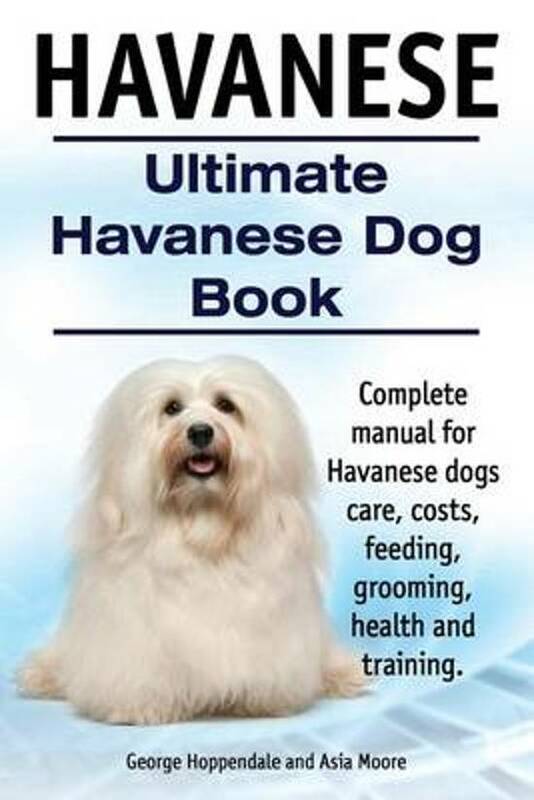 Ultimate Havanese Book. Complete Manual for Havanese Dogs Care, Costs, Feeding, Grooming, Health and Training.vonden we het goedkoopst op Bol.com voor €15.99. We hebben gezocht in nieuwe en tweedehands boeken. Rechtsonderaan de pagina kan je het boek direct bestellen	via Bol	.com. Havanese. Ultimate Havanese Book. Complete Manual for Havanese Dogs Care, Costs, Feeding, Grooming, Health and Training. The Ultimate Havanese Dog Manual has the answers you need when researching this intelligent, toy-sized purebred that is named after Havana in Cuba. Find out whether or not this loyal, friendly, affectionate and cuddly companion canine with the mischievous personality and non-shedding fur, that is bred in a variety of colors, will be the perfect choice for you and your family. Learn everything there is to know, including little known facts and secrets and how to care for every aspect of the Havanese's life. This manual contains all the information you need, from birth to the Rainbow Bridge, including transitioning through house breaking, care, feeding, training and end of life, so that you can make a well-informed decision about whether or not the Havanese is the breed for you. If you already have a Havanese, this book will teach you everything you need to know to make your dog a happy dog and to make you a happy dog owner. The author George Hoppendale is an experienced writer and a true animal lover. He enjoys writing animal books and advising others how to take care of their animals to give them a happy home. Co-Author Asia Moore is a professional Dog Whisperer, Cynologist and Author, living on Vancouver Island, off the west coast of British Columbia, in Canada, who believes that all humans and dogs can live together in harmony. She and her dog whispering team, which includes an 8-year-old Shih Tzu named Boris, teach dog psychology to humans, to help alleviate problem behaviors that arise between humans and their canine counterparts so that everyone can live a happy and stress-free life together. Covered in this book: - Temperament - Vital statistics - Before you buy - Choosing the right dog - Health - Daily care - Feeding - House training - Medical care & safety - Grooming - Training - Poisonous Foods & Plants - Caring for your aging dog .... and much more.